TRACE MODE® SCADA/HMI is a high-tech software platform for process automation, remote control, monitoring, energy/resources metering and building automation. TRACE MODE® runs under Windows® and Linux®, used in more than 30 countries of the world, in over 40-industries and has over 53000 installations. Together with business modules T-FACTORY.exe®, TRACE MODE® provides flexible solutions for the real time process control, consolidated closely with the industrial business management. By AdAstrA Research Group, Ltd - the independent real time software supplier with over 25 years experience of the control market leadership. AdAstra Research Group, Ltd (Moscow, Russia) has announced a new release of integrated SCADA- and SOFTLOGIC- system TRACE MODE 6.10.2. The release is now available for all registered users of TRACE MODE 6 SCADA/HMI for free (it is free for download from the User's Personal Account). In accordance to increased security requirements of unauthorized access and user authentification in the process control software, new means of user rights management have been introduced. In the 6.10.2 some new features added, bugs detected fixed. SKB Tensor company (Russia, Moscow region) has developed and successfully commissioned an automated fire safety system for units №1 and №2 of Kudankulam Nuclear Power Plant, India (Tamil Nadu). 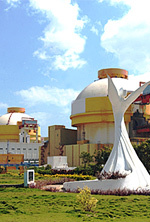 The automated fire safety system for units №1 and №2 of Kudankulam nuclear power plant, India runs under control of TRACE MODE SCADA/HMI (AdAstrA, Russia). The Ho Chi Minh City based (Viet Nam) Duc Phong Technology and Automation Corporation (DPTA) has the status of AdAstrA Authorized Dealer. The corporatin has the experience and qualifications to sales and customer support for TRACE MODE SCADA/HMI software. Adastra Technical support team announces a new release of an integrated and SCADA- SOFTLOGIC-system TRACE MODE 6.09.2. The new release has successfully passed Microsoft certification tests f or compatibility with the Microsoft operating system Windows 8.1. 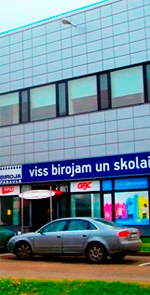 A Riga city based Sia Rameda company (Riga , Latvia) has used russian made TRACE MODE SCADA/HMI software to develop a control system for ventilation, heating and cooling equipment in the RD Holding commercial and office center in Riga (street Maskavas 240, Riga , Latvia). The main purpose of the work is to connect all ventilation machines, chillers and heating units to a centralized computer, supervisory control system to ensure round the clock equipment monitoring from a single center. Learn how to connect a Mitsubishi Melsec FX3U PLC to TRACE MODE SCADA/HMI through built-in driver with our new free online video training. The Test company (Poland) used the TRACE MODE SCADA/HMI software to build the control system for the plant of biogas fuel production from the sewerage - Elbląskie Przedsiębiorstwo Wodociągów i Kanalizacji w Elblągu Sp. z o.o., situated in Elblag city in north-eastern Poland. The Elblag city is a Polish leader in energy production from renewable sources, including biogas and biomass. According to the developers of biofuel production systems, the use of SCADA TRACE MODE has reduced the overall cost of the project in two-three times (compared to the same level SCADA software). AdAstra Company (Russia) announced the release of real-time monitor (LinRTM) for the operating system Linux. TRACE MODE RTM is the main runtime module of the integrated TRACE MODE 6 SCADA/HMI software, designed to operate on operator workstations. In Bosnia, the Bosanski Brod refinery launched a second production line, which was repaired by the Russian company Zarubezhneft. 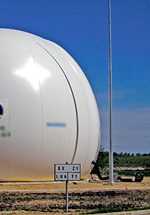 Now the plant is able to produce the gasoline conforming to the Euro 5 standard. The operator control systems for the gasoline production at the Bosanski Brod refinery were developped and implemented by several Russian system integrators. All integrators used Russian SCADA-software TRACE MODE 6 (AdAstra Research Group, Moscow) for process control of gasoline production. AdAstra Research Group (Moscow, Russia) has released a new version of the free TRACE MODE SCADA/HMI driver for the OMRON programmable logical controller. The new driver is built in the TRACE MODE SCADA/HMI 6.09 release and above. A video tutorial demonstrating the technology of OMRON PLCs connecting over the network via UDP using the free built-in driver, is available. The Iron–Technik company (Ust -Kamenogorsk, Kazakhstan), an AdAstra authorized system integrator, has launched into commercial operation an automation system for municipal public utility named "Oskemen" (Ust -Kamenogorsk, Kazakhstan ).